The option of being able to connect as many as eight devices to the Internet while you travel can be appealing, especially on long trips, and especially because it allows the holder of each device to choose their individual form of entertainment. The new-for-2015 models are rolling out, and dealers are clearing 2014 inventory off their lots to make room for them, which means these next couple months are the best time to get a great price on a vehicle. While most people love the idea of shopping for a new car, not many actually love the process of negotiating for a car, so we’ve gathered up a few tips to help streamline your buying process. 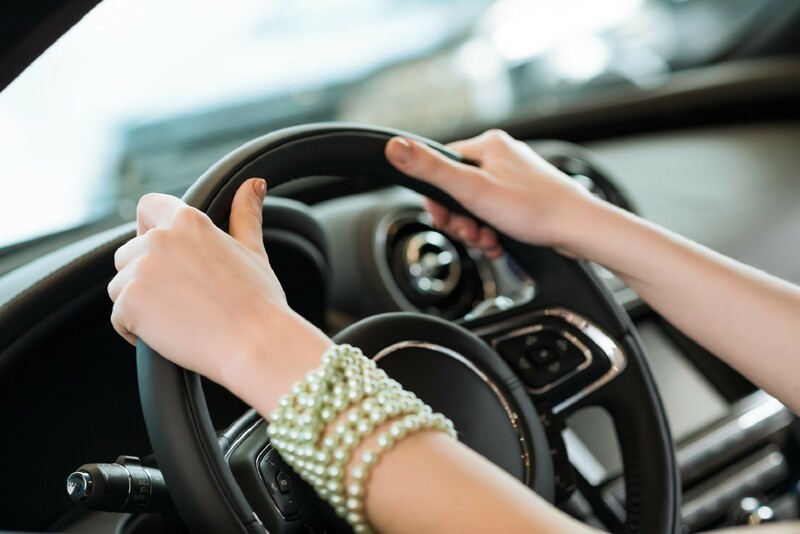 “Shopping for a new car can be much easier if you do your research ahead of time,” says Jody DeVere, CEO of AskPatty.com, an automotive advice site for women. As the new-for-2015 models make their debut, Jody suggests that now is the best time to educate yourself about the differences between new and outgoing 2014 models. Newer models will be in higher demand, making their prices less flexible; on the other hand, dealers are more anxious to get rid of older models, which means they’re more likely to discount the pricing on those cars. Consider several vehicles and research the accessories, features, and trim levels available on each model so you know what features interest you, and what you would not want to pay extra for. If you know what’s included in each trim level, and what other extras add to the cost of the car, you can save lots of time at the dealership. 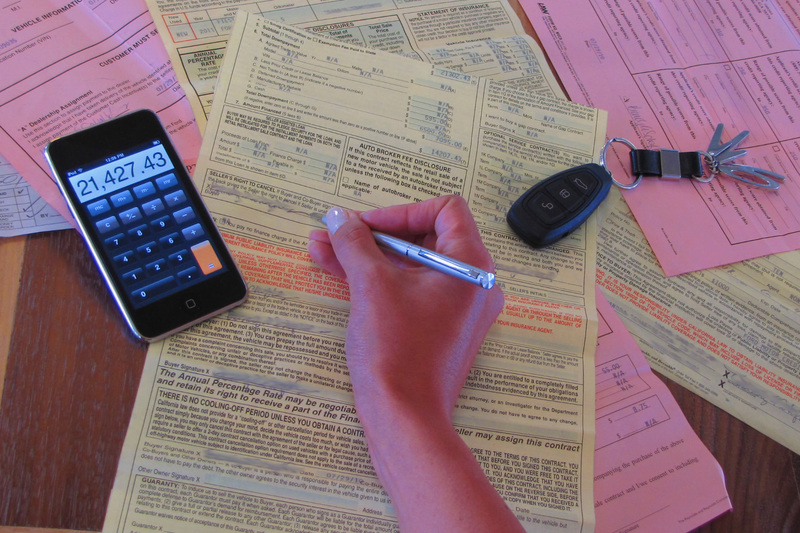 Before you head to the dealership, be sure you know how much car you can pay for: that includes the monthly payment, the number of months you are willing to finance, and the total amount the car will cost over the life of the loan. It’s important to know what your budget will allow before you fall in love with a vehicle you can’t afford. So, before you head to the dealership, be sure you know how much car you can pay for: that includes the monthly payment, the number of months you are willing to finance, and the total amount the car will cost over the life of the loan. A simple rule of thumb is that the car will cost about $20 a month for 60 months for every $1,000 financed (for buyers with good credit), so keep that in mind when you’re looking at the bottom line. Before you visit the dealership, be sure to check with your insurance agent about premiums for the vehicles you’re interested in purchasing. It might seem backwards to check with your insurance agent before you actually purchase a new car, but if you knew the premiums were going to be sky-high for a certain vehicle, would you be inclined to choose a different model or trim level? For example, you might discover a significant difference in the premium between the two- and four-door versions of a specific model, or that one trim level might cost less to insure than another. Before you walk onto a dealership lot and fall in love with a shiny new car, it’s important to know your credit score; otherwise, you risk the potential heartbreak of being told you don’t quality to finance your gorgeous new ride. Poor credit scores mean higher interest rates, and less preferable leasing terms, while a great score provides better financing options. Check your credit once a year at AnnualCreditReport.com, so you can identify and fix problems before they affect your purchasing power. Do you have a family? “When it’s time to test drive, be sure to bring your entire brood with you to ensure the vehicle will fit all your passengers,” suggests Jody. Can everybody get in? Can they easily access the back seat? Can the smaller children reach the door handles to open the doors? If you use them, definitely bring your child safety seat and/or booster to ensure you know how to install it and to make sure that everybody can be seated comfortably. And for a more family-friendly experience, if you’re planning to make your purchase at that time, be sure to bring toys and snacks to keep the kids amused while you’re doing paperwork. Manufacturer’s Suggested Retail Price is just a starting place, and depending on the popularity of a specific model, most dealers will negotiate below that price; if you’re willing to buy an outgoing model instead of the popular new one, the dealer may be even more flexible with its pricing. Remember: New models or vehicles that are in high demand have less room for negotiation. While there’s no such thing as “now or never,” be reasonable: the dealer needs to cover his costs and pay the salesperson’s commission. Know what your budget will allow before you fall in love with a vehicle you can’t afford. Before you head to the dealership, be sure you know how much car you can pay for: that includes the monthly payment, the number of months you are willing to finance, and the total amount the car will cost over the life of the loan. The car will cost about $20 a month for 60 months for every $1,000 financed (for buyers with good credit), so keep that in mind when you’re looking at the bottom line.